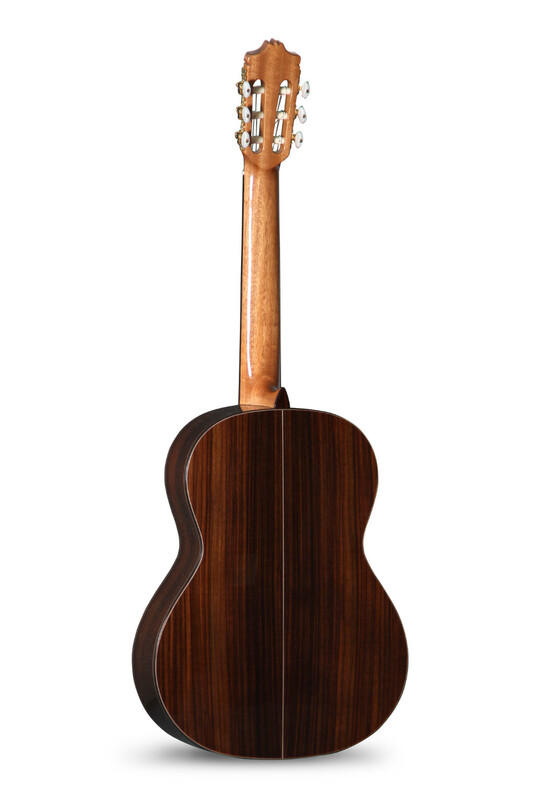 For the construction of this guitar, Alhambra has been used solid wood, in this case, cedar for the top and Indian rosewood for the back and sides. 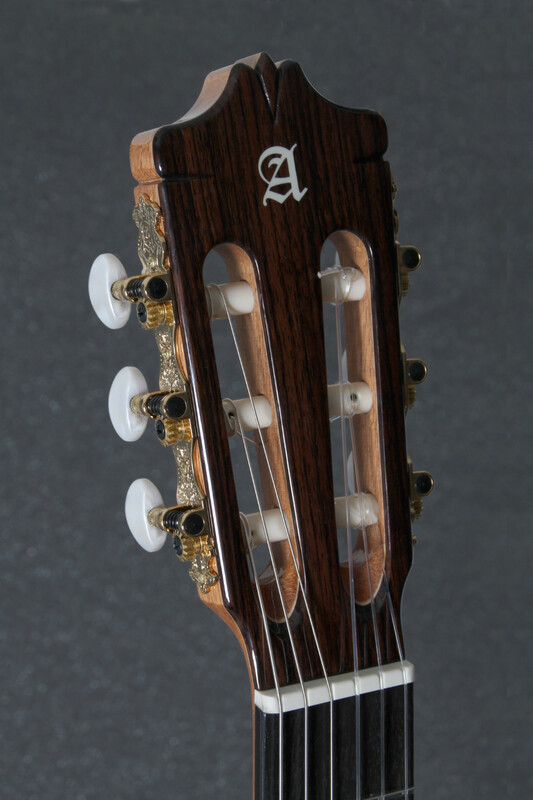 For the neck of the 7 P Classic model, Alhambra has chosen Mahogany, also known as African Mahogany, in this case with an ebony reinforcement that is hidden at a glance. 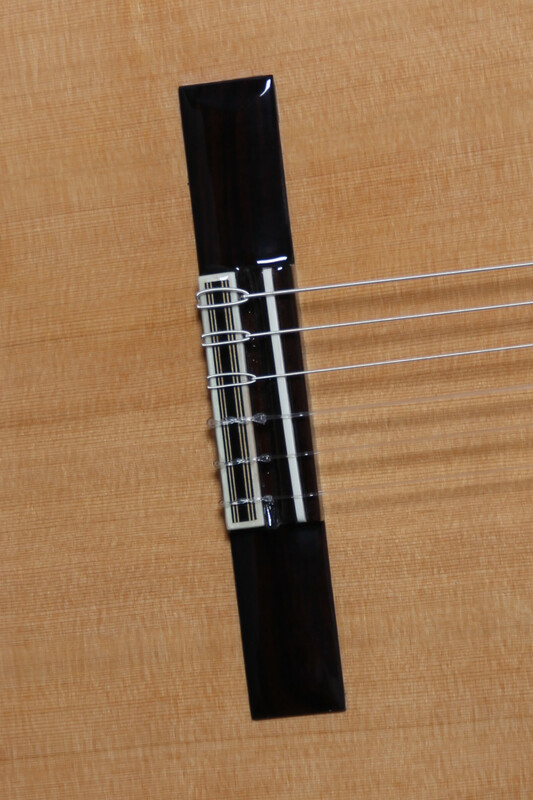 In order to see the piece of Ebony, you should use a mirror or remove the nut. 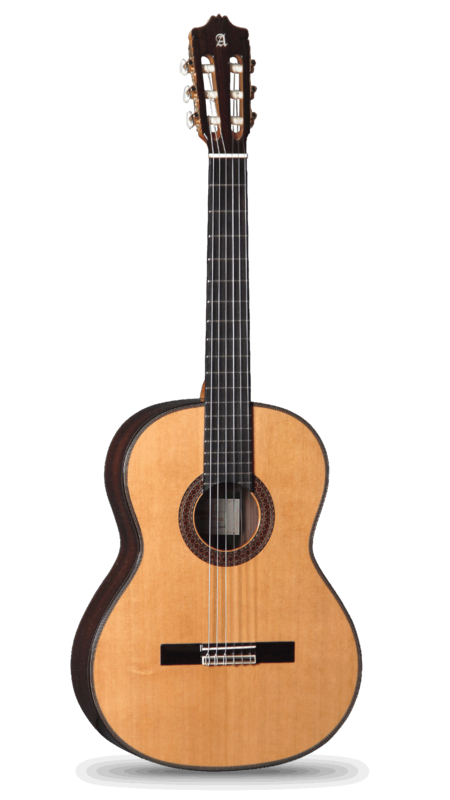 The 7 P Classic model is a conservatory level guitar, very comfortable and with a very balanced sound. 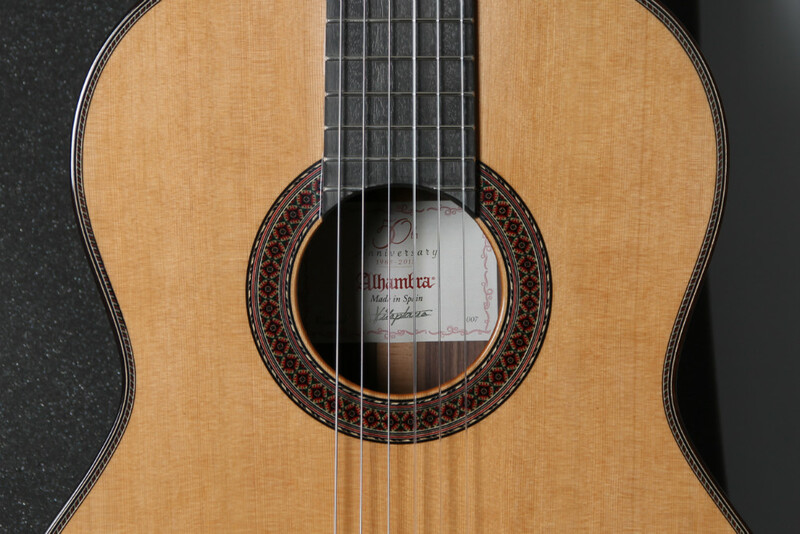 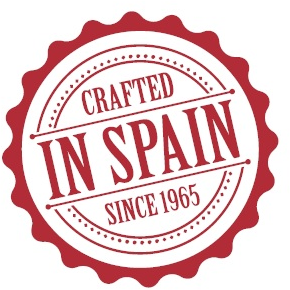 An instrument with a very careful aesthetic that brings elegance and beauty, and meets the demands of a concert guitar.